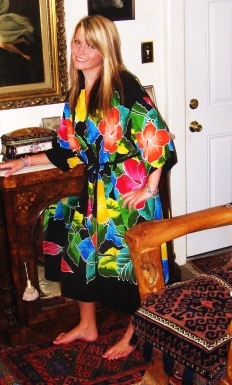 Alohaland is happy to offer these hand painted rayon kimonos from Bali. They are the softest rayon; light, bright, and beautiful. 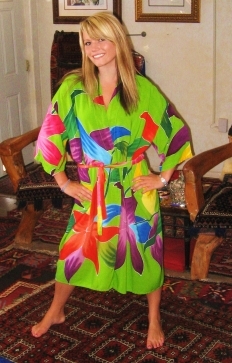 We offer a 100% refund if you're not totally pleased with your kimono. They are one size with a matching belt so they fit just about anyone. I put one on as soon as I got them and wore it for the rest of the day. Luxourious! It was so comfortable, I didn't want to take if off...try one for yourself or for a lovely gift.